Traditional Chinese Medicine (TCM) is something that was instilled in Shirley from a very young age. Her father is a TCM Practitioner in Malaysia for 40 years. She grew up in his clinic observing him consult patients, learn to identify herbs and their properties, and studied the philosophy and practice of traditional medicine. She was his father’s daughter and apprentice. It is his belief in the complementary nature of conventional and traditional medicine that encouraged Shirley to further her studies in the healthcare industry. She gained the Bachelor of Pharmacy at Monash University in Melbourne in 1999 and has been working in the field for the past 12 years. As a community and hospital pharmacist, she came to understand the benefits and limitations of both conventional and traditional medicine. It made her aware of the need to be trained in both professions in order to provide the best health care to patients. Shirley completed a Master of Applied Science in Chinese Herbal Medicine at RMIT University in Melbourne where she was awarded with the Outstanding Academic Award at graduation in 2007. She had also completed Certificate of Advanced Counseling Skills at Cairnmillar Institute in Melbourne. Working as a part time registered pharmacist, combined with a master’s degree and family background in traditional medicine, Shirley’s approaches to your health is personalised, holistic and integrative. She aims to pursue her philosophy of the nurturing nature of TCM as a path to daily health and happiness. Shirley has special interest in Women’s Health (Gynaecology), Fertility Issues and Digestive Disorders. — to see her registration details, please click here. 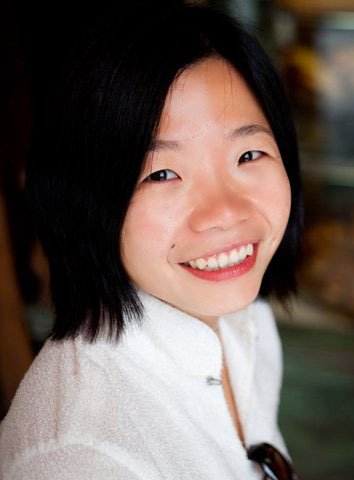 Shirley is a Registered Chinese Herbal Medicine practitioner in Australia with a special interest in Women's Health (Gynaecology) and Fertility Issues. She is also a registered Pharmacist with over 10 years of experiences in Australia. With training in both modern and traditional medicine, she strives to give you the best integrated healthcare. How does Shirley work? What make her different?